Roberta made her Broadway debut in the musical “Ragtime.” Her National tour credits include playing the “Ghost of Christmas Past” opposite Richard Chamberlain in “Scrooge,” Hal Prince’s “Showboat” (Magnolia & Ellie), “Ragtime” (Mother), and playing Rona Lisa Peretti in “The 25th Annual Putnam County Spelling Bee” in both the Chicago and National Touring Companies. Regarded as one of Chicago’s “Second City Divas,” a few favorite credits include, Narrator in “Joseph and the Amazing Technicolor Dreamcoat” (TATC), “Come fly With Me” (Mercury Theatre), “Ain’t Nothin But the Blues” (Northlight Theatre), and the “World goes Round” (Drury Lane), “Cats” (Jellylorum), “Swing!”(singer), “State Fair” (Emily Arden) “The Taffetas” (Cheryl) at the Marriott, Janet Weiss in “The Rocky Horror Show” (CCPA), Lady Capulet in The Second City’s “Romeo and Juliet” (Chicago Shakespeare), Irene Malloy in “Hello Dolly” (Skylight Opera) and “The Visit” (Goodman Theatre). Duchak is one of those vocalists blessed with it all. Her vocal range and control are at a level of mastery. She can take you on a journey of a sorrowful tale and then take you on a walk of introspection ending up on a path of elated joy. Here storytelling abilities are phenomenal; she can be sassy, brassy or lusciously dreamy. I truly believe Duchak could sing any style with conviction. “Let Me Sing,” ….please do…Roberta delivers the lyric with conviction and honest conviction, only found in a love song. She is truly “sultry” a phrase used by many, but owned by few. The cut moves from slow and intimate to swinging fun. My heart did sing Roberta so be happy! “Seasons of Love,” a Jonathan Larson classic provides a vehicle for Duchak to exhibit clear conscience vocal abilities. She storms the gate harder than any pop singer out there. If this doesn’t move you, than your Espresso machine is broken. Duchak is eloquent and poignant and these words don’t even completely describe her. 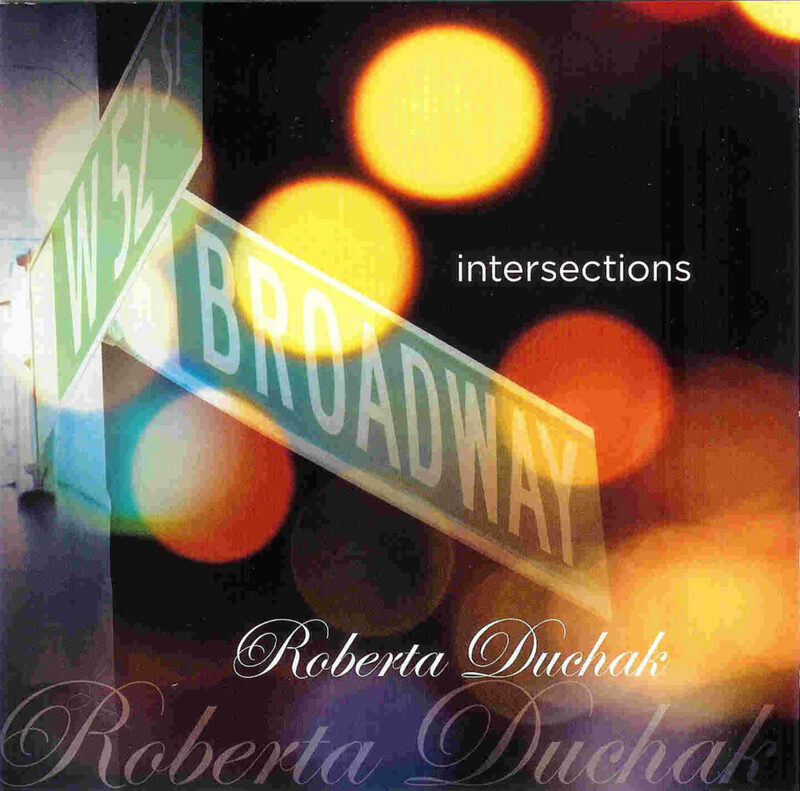 The CD ends with “So Many People,” a Sondheim ballad that pays homage to Duchak’s Broadway roots. A clear soprano voice rings over this well-crafted cut. Duchak is enchanting, her falsetto is right on target, not flat or trite in anyway. Duchak is a superior vocalist with the ability to reach into your heart and pull each string. I highly recommend this album for any special evening or your most important dinner party so Duchak can touch each of your guests the way she has me.